MS Iceland Dairies has secured a ban on the sale in Finland of dairy products marked as ‘skyr’ by Swedish dairy giant Arla. 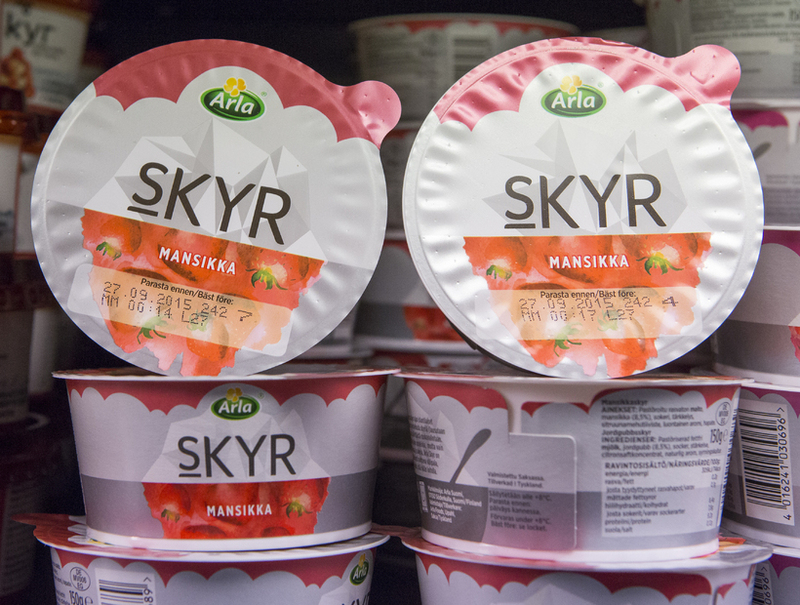 Arla has been ordered to remove its ‘skyr’ from Finnish shelves by the end of this week. Arla produces skyr in Germany and has recently marketed their product in several European countries, including Finland. Finnish courts have now ruled in favour of MS’ argument that skyr – produced either in Iceland or Denmark according to an MS recipe – is a specific trademark, and not just a product type. Arla has now been banned from marketing or selling products marked ‘skyr’ in Finland. Any violations of this ruling are punishable be a fine of €500,000 (approx. ISK 71 million). ‘Skyr’ is also a registered MS trademark in Norway, but nowhere else in Europe. Arla currently sells its product in Belgium, Denmark, Germany, the Netherlands and the United Kingdom. Furious Icelanders: Leave our skyr alone! A fake skyr scandal in the making?